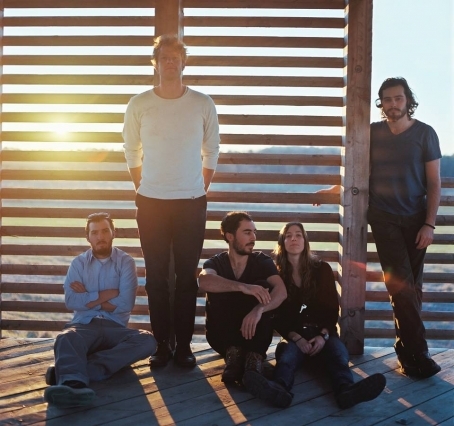 New Walking Sticks video for "You Got What You Wanted"
The Walking Sticks give us what we want (I had to), premiering a new video for "You Got What You Wanted" on DCist today. Made on an iphone, it features what looks to be a single shot walk through a snow-covered wood with the snow falling. The creative minds of The Walking Sticks have managed to turn the otherwise dreary and upsetting weather into something beautiful and mystical. Thank you. Looking for a reprieve from the arctic cold? Look no further than O'Brien's in Allston tonight for a lineup loaded with catchy pop tunes from some incredible local acts. 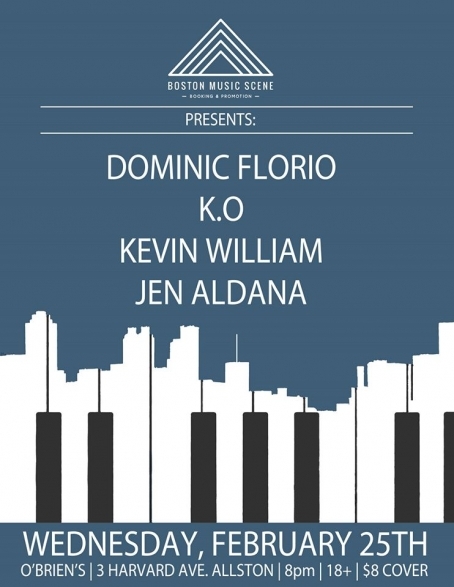 Dominic Florio, K.O., Kevin William and Jen Aldana will be livening-up the dive bar, presented by Boston Music Scene. Doors are at 8PM, $8, 18+. Just remember the number eight and you should be fine. Swap out your snow boots and parkas for your dancin' shoes and head over to The Middle East Upstairs tomorrow night, February 18. Brooklyn's Leisure Cruise are coming through Cambridge/Boston, bringing with them a warm wave of electro-pop that should make everyone forget about the frozen tundra outside, if only for a little while. 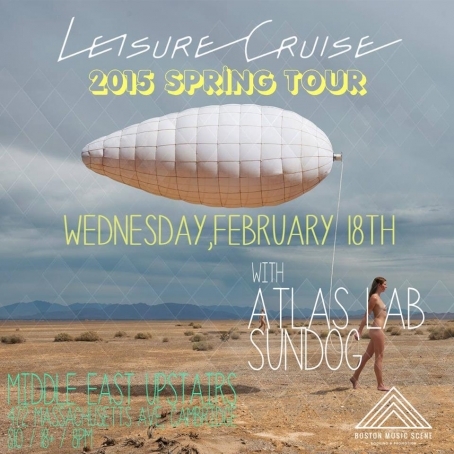 They'll be supported by locals Atlas Lab and Sundog, who is making the trip all the way from outer space (also known as New Orleans), according to his bio. The show kicks off at 8PM and is presented by Boston Music Scene. 18+, $10 at the door, proper ID required. For more info about the show, click here. Interview with Footwerk, winner of the DC Area Deli's Reader's Poll. 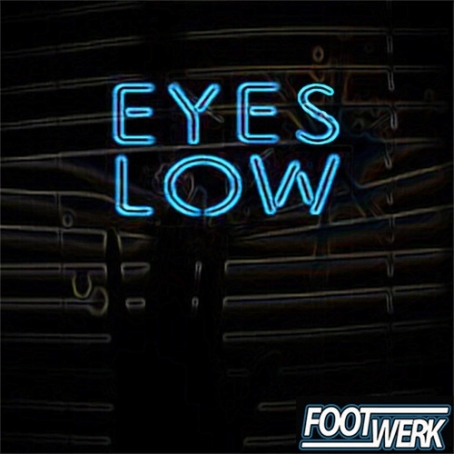 New video for "Eyes Low."